This French antique side table features fine parquetry detailing in a diamond pattern and, mounted in ormolu, exudes a sumptuously refined Rococo elegance. 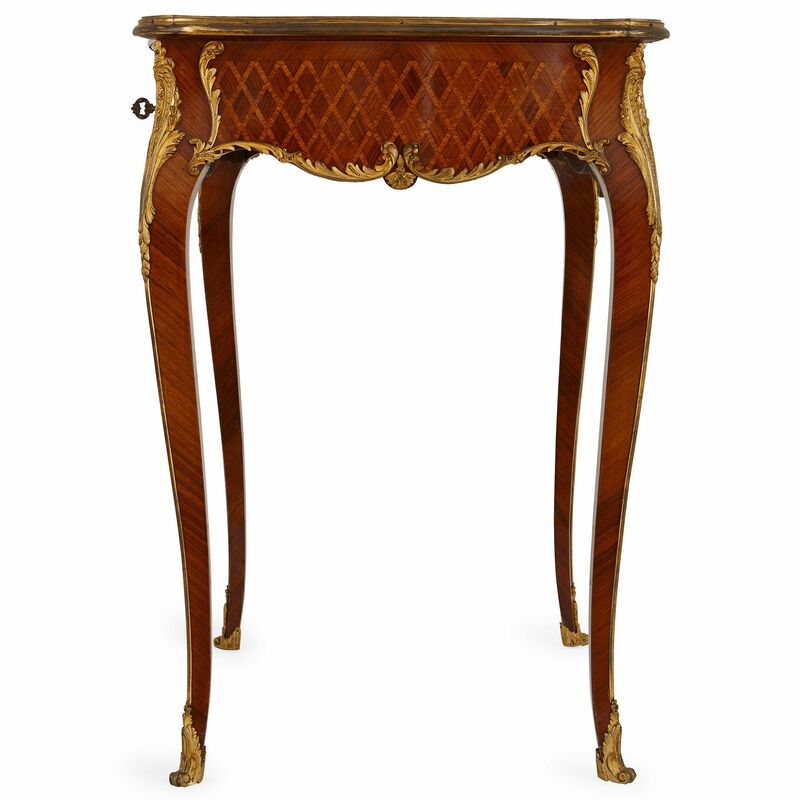 The table sits on four slender, cabriole-shaped legs which terminate in ormolu clawed feet, ornamented with stylized acanthus leaves. 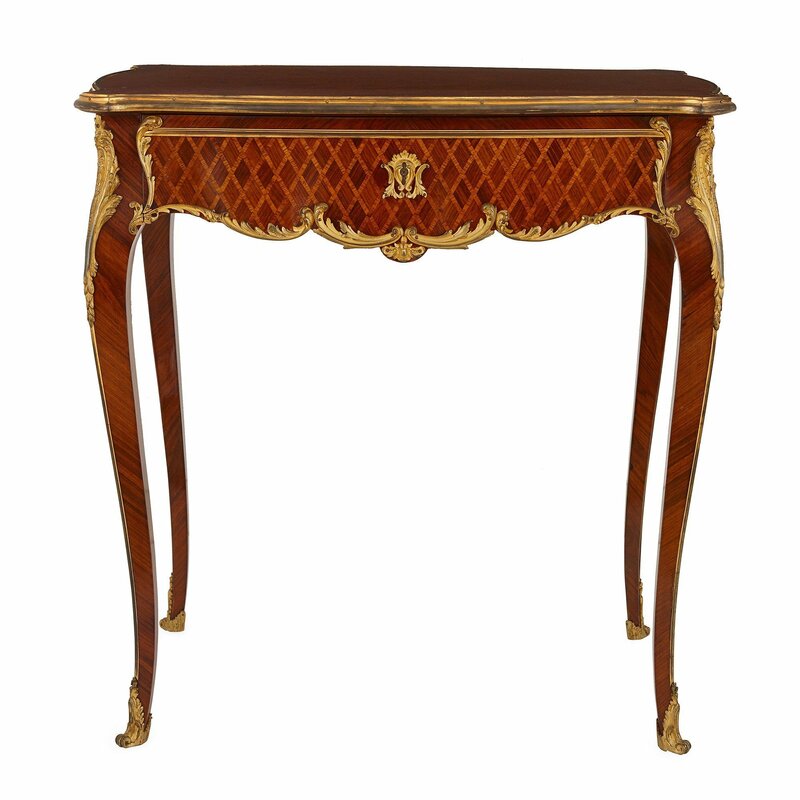 The four sides of the table feature panels of fine parquetry in a diamond pattern, bordered within ormolu mounts in the shape of stylized acanthus leaves and C-scrolls, and contains one drawer to the front. 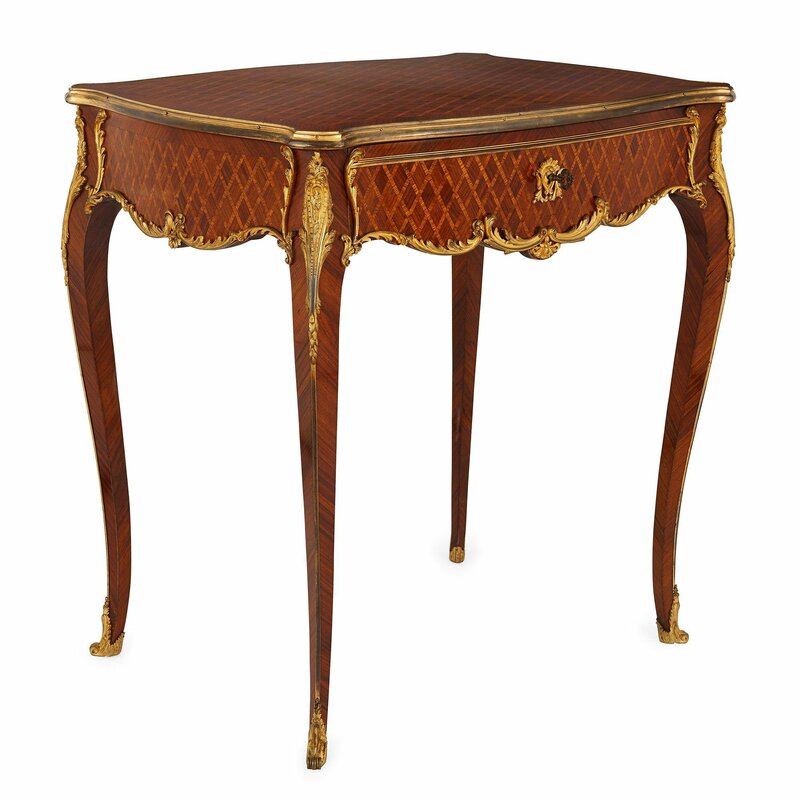 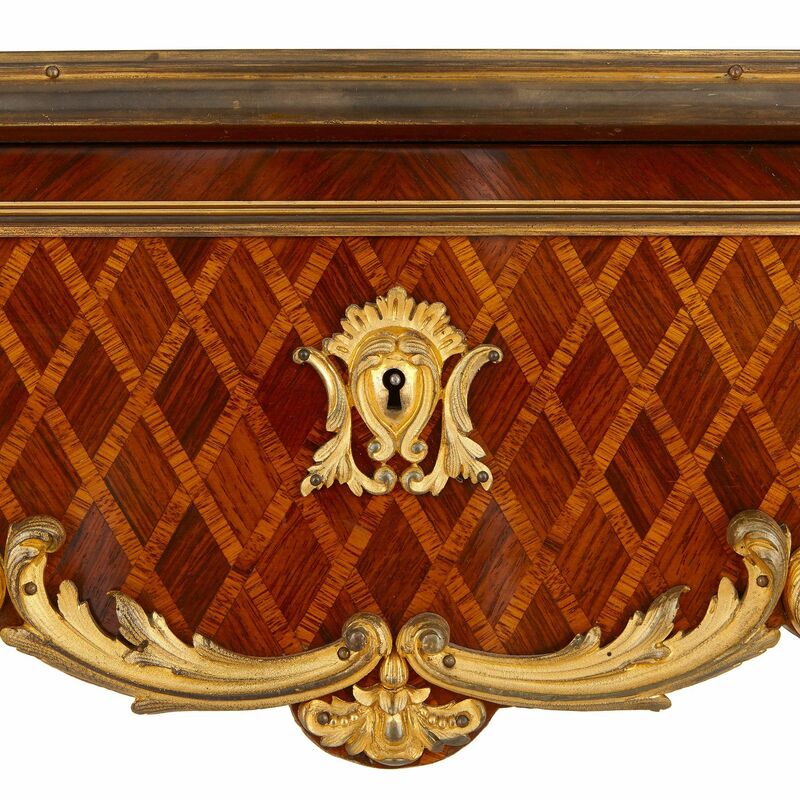 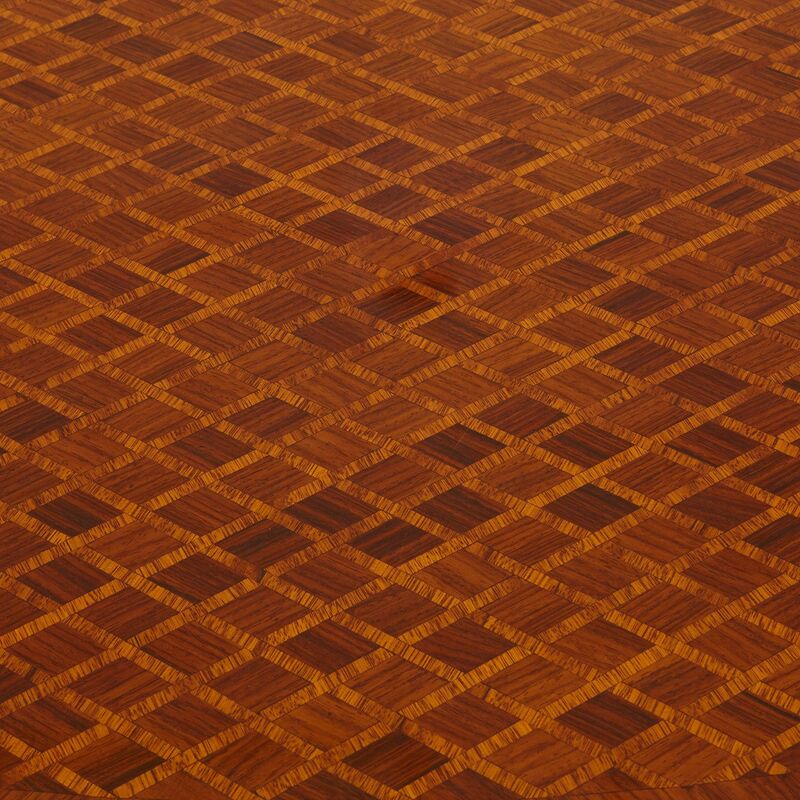 The tabletop is similarly decorated with fine diamond-patterned parquetry, mounted with ormolu along the outward curving edges, which meet at extending corners to mirror the shape of the cabriole legs.